All children deserve a strong start to life. That is what drives the mission of Next Door. This belief directly aligns with our work, as we have a designated goal to do just that - make sure children are kindergarten ready. With a positive start to life and with their brains being encouraged and nurtured to develop, children thrive. 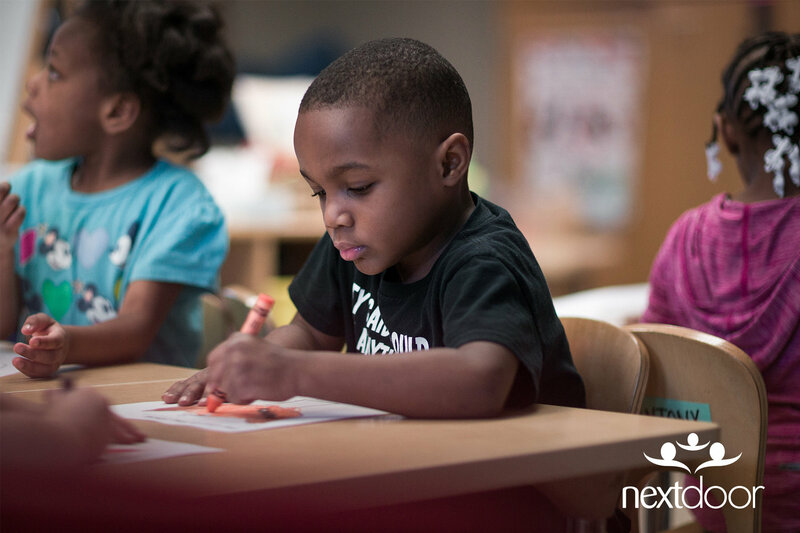 Next Door in partnership with the Milwaukee Education Partnership (MEP) is embarking on an exciting opportunity to add an important feature to nurturing educational development, particularly for our black and brown babies in Milwaukee. And our Milwaukee Succeeds Funders Collaborative is helping to make it happen. Together, Next Door and MEP are launching an initiative called Leading Men Fellowship in Milwaukee. This initiative has so many positives working for it - it’s a recruitment of African American male talent into the early childhood education workforce, it connects black and brown babies and their families with a teaching staff that looks like them, and it helps to build a broader, diverse pipeline of future teachers in Milwaukee. Tracey Sparrow tells us more in our interview with her below. I had the pleasure of sitting down with Next Door’s President Tracey Sparrow to learn more about Next Door and the Leading Men Fellowship! What is the Leading Men Fellowship? One of the challenges for kids living in poverty is often developing language and literacy skills. We see these challenges particularly in our young boys, who frequently lag behind in their skill development. Leading Men Fellowship employs young African American men of color who are recent high school graduates, who have not yet decided what their next path is, and intensively trains them as literacy tutors for preschool classrooms. After training, they’re placed in these classrooms working with children for 30 hours per week, while continuously meeting with their coaches for support in their development and to stay on track with the Leading Men Fellowship curriculum. Early indicators show that the school readiness skills of young African American boys who have a Leading Men Fellow in their classroom are skyrocketing compared to boys who may not have contact with a Fellow. The initiative will be implemented in Milwaukee schools this coming fall for the 2018-19 school year. Next Door is supporting the Literacy Lab as its leaders begin the process of recruiting a cohort of young men, hiring a program coordinator and preparing for this program’s launch. At the end of the school year, Fellows will receive a scholarship to be used toward furthering their education. Why is this initiative important to Milwaukee? Our mission is to prepare children for school. We know that the children we serve often need additional support to develop critical literacy skills. If you look at Milwaukee, 17% of 3rd graders are proficient in reading and we want to change that trajectory. We believe that developing literacy skills in children will ultimately help them be successful in school. A side benefit of the Leading Men Fellowship is also a benefit for the city of Milwaukee - giving these young men an opportunity to contribute to the community, to possibly develop a new career and increase the pipeline for teachers of color. Nationwide 2% of teachers are males of color and we want to change that statistic to better serve our students. What is Next Door’s connection with the Leading Men Fellowship? 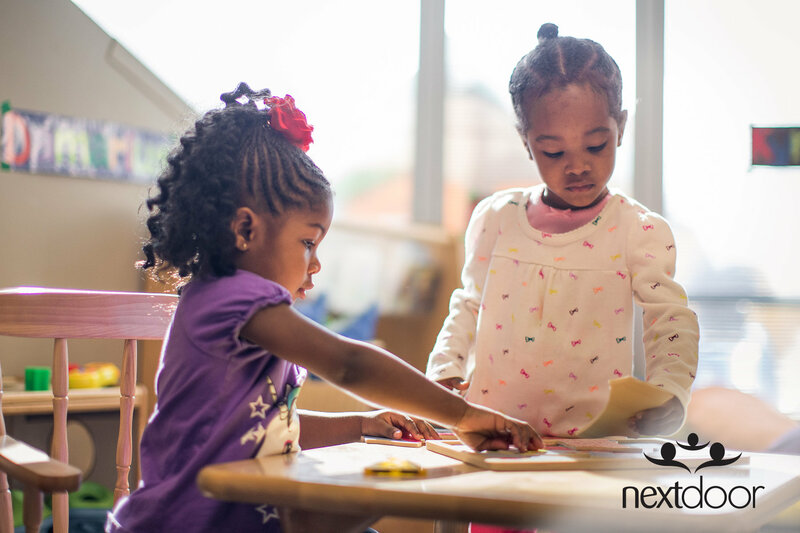 Next Door’s partnership with the Literacy Lab started with a simple conversation. Joanne Anton with Herb Kohl Philanthropies and I were discussing early childhood education and the current teacher shortage, causing a great need for male teachers of color in particular. Shortly after our conversation, Joanne sent me a link to the Literacy Lab and introduced me to the Leading Men Fellowship. After a few follow-up conversations, we brought members from the Literacy Lab and a few Fellows from the program to Milwaukee and met with stakeholders from Milwaukee Education Partnership, Milwaukee Succeeds, MPS and others across the community to present the program. There was a lot of enthusiasm during this meeting about what positive outcomes this program could have in our community. Next Door is currently working with Literacy Lab to connect them to schools in Milwaukee, including MPS. Literacy Lab will oversee the program to make sure the core model is continuously followed throughout the process and program. What do you hope to see as a result of the Leading Men Fellowship? 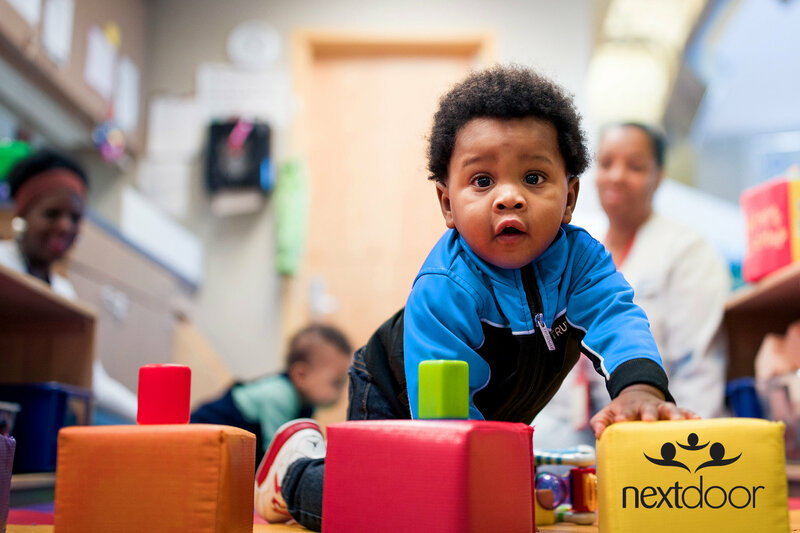 The program is successful nationwide, and we want to see school readiness scores increase in the Milwaukee classrooms where fellows are placed too. We hope these tutors find this to be a really gratifying experience and that they decide to go into the teaching field. Literacy Lab statistics show that not all of the fellows go into teaching, but they do choose to go to college which is in itself, a win for Milwaukee students! This program truly aligns with some of Milwaukee Succeeds’ goals, including kindergarten readiness, 3rd-grade reading, and the college and career piece. I also think the gift from the Milwaukee Succeeds Funders’ Collaborative really gave us a jump start in terms of raising other money and the program received grants from other funders including the State of Wisconsin Department of Workforce Development – knowing there was already support of the funders really made a difference. Thank you Tracey for taking the time to discuss this program in detail. I am so excited about the impact the Leading Men Fellowship will have on our children and the Fellows themselves! We plan to follow some of the men selected for this program and create some storytelling pieces on how they’re working through the program and learning each step of the way! Stay tuned!